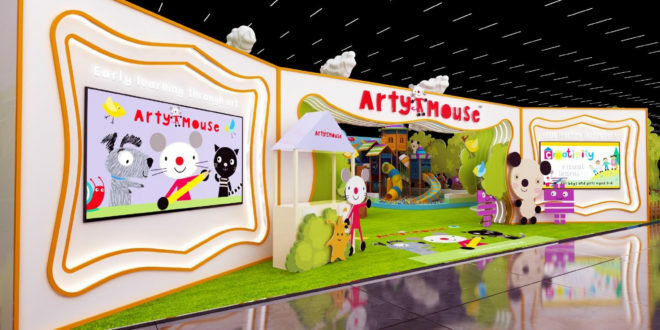 Edutainment Licensing has confirmed plans for Arty Mouse Pop-Up Activity Centres in China. The announcement follows a recent deal with Jolliplay Cultural & technology Ltd, in a deal brokered by its sub agents for the region, PPW Digital. 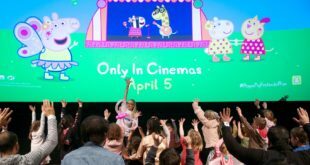 The stand alone edutainment attractions will help bring to life this pre-school property in a series of interactive and immersive play areas, offering kids and parents the chance to learn to read and write English and watch and take part in theatre shows. The first activity centre to open will be situated in Shanghai’s Hui Zhi shopping mall, followed by a Beijing opening at the end of the year. 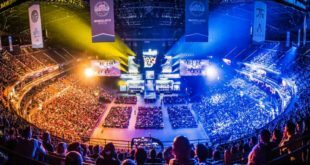 Further centres will be rolled out into cities throughout China in 2019. David Henderson, MD of Imagine That Publishing, the team behind Arty Mouse, said: “This is a really awesome development for Arty Mouse, our early learning through art brand. 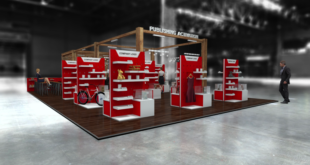 Jolliplay Cultural & Technology Ltd is an expert in the field of indoor and outdoor activity centres and work with a number of international licensors in China.